This week is Trans Identities Week! We will be showcasing various transgender activists from all over the world this week, so get ready to be inspired by the monumental work being done in all corners of this world! 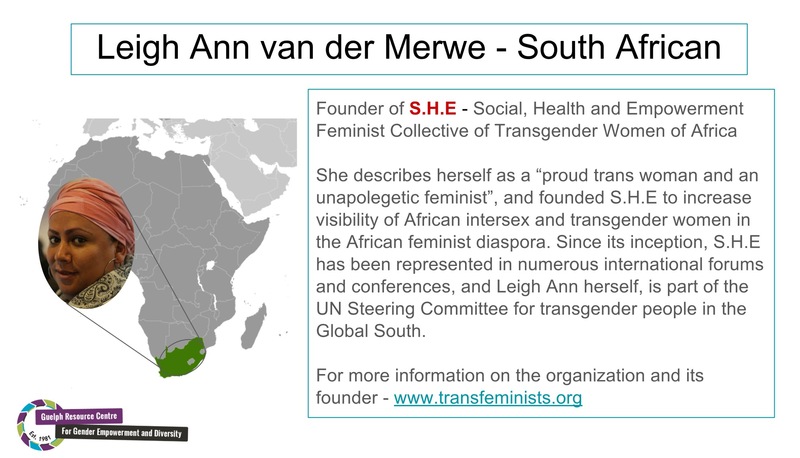 Today’s post is on Leigh Ann van der Merwe – a South African activist who founded S.H.E. to increase the trans representation in South Africa’s gender equality movement. To know more about her, check out her interview on The Feminist Wire.